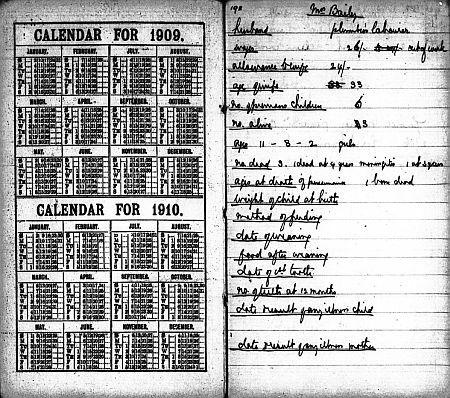 Just over one hundred years ago, the Commonwealth Bureau of Census and Statistic, wishing to obtain reliable information on the cost of living in Australia, sent out 1,500 account books to as many householders, asking them to fill them out over the course of the twelve months to 30th of June, 1911. Of these, 212 came back. When the Department of Labour in New Zealand made a similar attempt a few months later, it received back 69 account books out of the 1,800 that had been distributed. Unlike their Australian counterparts, the sponsors of the New Zealand study put the blame for the disappointing result squarely on the public. It is to be regretted that the object sought by the Department was so little understood and realised that only a few score workers of New Zealand came to its assistance. The figures certainly show that the data supplied has come almost exclusively from those workers who are thrifty and careful, and on this account they may therefore be considered of special interest, as the community generally is mainly concerned in ‘the struggle for existence’ by those who practise economy in household and general expenditure. This was the normative intent behind the idea of measuring the cost of living, then: to audit the daily lives of the more virtuous and (relatively) comfortable sectors of the working class, and render more scientific the model around which to frame the public debate on welfare policy. 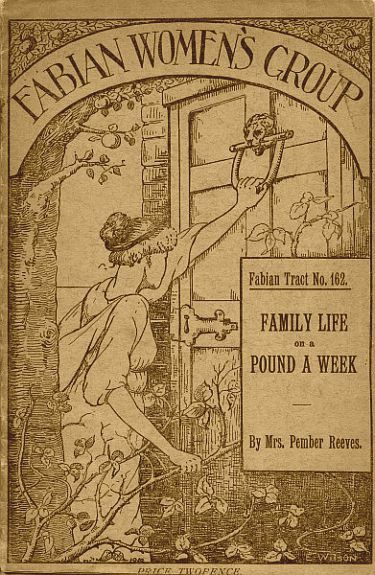 In those same years, back in the Mother Country, the Fabian Women’s Group – chiefly in the person of Maud Pember Reeves and Charlotte Wilson – was busy conducting another study on the spending habits of working families. Theirs was as restricted in scope as the New Zealand survey, albeit for quite different reasons. Its basic template was roughly the same: intact nuclear families (the New Zealand survey turned out 69 husbands and 69 wives) supported entirely by a father in stable employment – or, at least, as stable as the prevalent working conditions allowed. The income band, however, was substantially lower: from 18 to no more than 30 shillings a week (versus an average income of £3 4s. 3d. in the New Zealand sample and £4 13s. 1d. in the Australian sample). To find these families of ‘labourers, mates or handymen’ who lived on ‘round about a pound a week,’ the good bourgeois Fabian women travelled to the south London borough of Lambeth, and there – unlike the agents of the Commonwealth Bureau of Census and Statistic and the New Zealand Department of Labour – they stayed and returned often, over the course of three to four years. This was the cover of the pamphlet produced by the group as a result of this work. The imagery is striking, its coding so distant from ours. The woman clearly is not meant to literally represent the surveyor, nor the heavy wooden door and the overgrown garden the real houses of Lambeth. This is an allegory of some kind. It may be presumed that the woman stands in for reason and progress, moving through impervious surroundings. There is a touch of heroism in this image, matched by the paternalism that underlies the project. 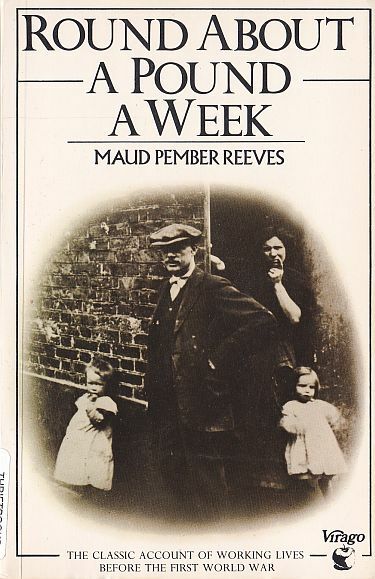 For as remarkable as the book (still in print to this day) that Pember Reeves ended up producing is, it reads uncomfortably like an ethnographic study into the habits of remote foreign people who are quite incapable of speaking for themselves. At least not in our tongue. But perhaps the journey from the north to the south of London – or ‘into Hades’, as Pember Reeves calls it at one point – felt exactly like that to those women. There are women in either side of this story. The men, with a single exception, are not around. They are out, working. Drinking, if ever, if at all, on the odd Saturday. (For they are good men.) This leaves the children, and the women who look after them, and the women who check in to see that the information is being correctly recorded on the booklets. (But never on washing day, for that would cause too much hindrance.) Let’s call them then the ‘mothers’ and the ‘visitors’, to use the book’s terminology. And the absent husbands, and the always present children. Except for the dead ones, that is. A working man’s wife in receipt of a regular allowance divides it as follows: rent; burial insurance; coal and light; cleaning materials; clothing; food. Imagine what it would be like, if you already lived from payday to payday, to have to set aside some money, week in, week out, to insure the life – or, more accurately, the death – of each of your children, knowing that you’d probably lose at least one, maybe many, and so that you may give them not a lavish funeral but a dignified one. Imagine what it would be like to have to do this on the penance not just of unbearable heartache but of the intolerable shaming of pauperisation, should you be unable to provide for such an occurrence. 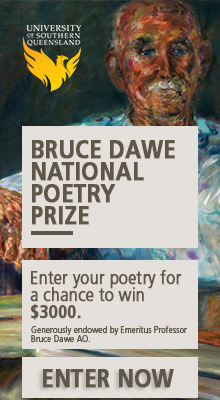 I think it would be like dying a symbolic death, on paper, every week. Just as oppressing as this grim accounting is the picture that Pember Reeves patiently draws of the daily toil of the mother: who works incessantly, and barely leaves the house if not on errands; who has no prospects of advancement or fulfilment or improvement of her economic condition; who can expect little or no pleasure (sexual, perhaps, but that remains unspoken, save for the very concrete presence of five or six living children per household, on average). The mother who dreads the fine weather, because ‘it brings out the bugs somethink ‘orrible.’ The mother who at every unexpected big-ticket expense – like new clothes for one of the children – has to pawn her only pair of boots, and becomes a prisoner in her own house until such time as they can be redeemed. Only once in the entire survey one of the women gets to leave the home, for two weeks. And so the husband has to look after the household, and finds that he cannot manage on the money he brings home. He buys too much margarine, you see! For all those years he never quite realised that his children ate far less of it than he did, for his is the principal, the most important mouth to feed, as it needs to be for the family to survive. The subject of the family diet is central to the book’s concerns, as it was (and is) to the idea of motherhood. And on this topic the good Fabian women are humbled to discover that they couldn’t manage any better than their far less educated counterparts. They were hoping not just to survey but to improve the lives of their subjects. They thought that they would succeed in spreading amongst these housewives ‘the gospel of porridge’, a food that is as inexpensive but far more nutritious than bread and jam or margarine. So it has to be patiently explained to them that it couldn’t be served in Lambeth. Not without milk and sugar to make it palatable, which couldn’t be afforded; not without proper cooking equipment in place of the single available burnt pot; not without the leisure required to stir it frequently over three hours – time that has to be spent nursing the baby, or preparing the older children for school. More normative ideas: about what constitutes virtue and caring; about the value of what Pember Reeves calls ‘scientific foods’. But this time they are allowed to clash with reality. Around about one pound a week still makes utterly compelling reading chiefly for this reason: that it illustrates how the narrative of virtuous, redeemable poverty is constructed, and how it can be deconstructed, occasionally producing a tension with the author’s own politics. The book’s continuing existence in print also elicits a question: about how these same three countries (Maud Pember Reeves was born in Australia, grew up in New Zealand and finally moved to England) investigate, measure and narrate poverty today. If our methods are any less paternalistic, or any more effective. If we are as able as those women were to provide popular accounts of the lives lived on the edge of survival. If we even know what poverty is anymore, and where to find it. It is such a loaded phrase, ‘the cost of living’. It can be stripped of all but one of its meanings by turning it into a statistical construct; or it can be allowed to retain all of its force, all of its inherent sense of injustice, by accounting in full for the effort it takes to work and be poor. The politics of this representation are immensely complicated. But we have so many more instruments at our disposal, so many more media. So where is our progress? There was a “cost of living” article in the AGE today, you know the kind, the one where they do a Voxpop with a “typical family” prior to Budget night or some other pivotal date. The household earns $130,000 (before one partner starts earning the salary from her qualification) but the poor dears only have half of an investment property. Either that, or it’s ‘how we rate internationally’ articles based on research done on behalf of transnational corporations, where quality of life and cost of living are measured from the perspective of white Western technocrats. I haven’t yet delved into what distinguishes “Basic” from “Liberal” or how a balanced diet is defined. I have all sorts of problems with that survey. For a start, according to the tables our family comes *well* below the basic diet. Which simply can’t be right. (We have a child with diabetes, so even if we somehow wished to under-nourish the children, we couldn’t.) It seems to me that basing a calculation of the cost of living based on the national Food and Nutrition Guidelines is arse-backwards. A much more useful approach in my view would be to visit real households, see what they eat and how much they spend on food; then make critical observations and recommendations based on the findings. The Otago survey is both normative (our family’s diet comes out as criminally negligent) and fundamentally unhelpful (encourages measuring the quality of a diet by the amount of money spent). I know what it is and where to find the sort of poverty you describe: in every city and town and places in between. Generational poverty is the current descriptor, and it’s rising exponentially with the cost of living in Australia. Possibly why the baby bonus was scrapped in today’s budget. Which suggests to me both that the realities of poverty are very badly understood (it is arguably pretty well-hidden in our popular culture as well as in other forms of public discourse, is it not?) and that the debate around it and welfare is stuck exactly where it was when Pember Reeves wrote her book. For sure, and it doesn’t matter which party is in power for its economic bottom line (which doesn’t exist) will always disadvantage the disadvantaged. One poverty difference between today and those Pember days was well illustrated by a Horacek cartoon in Overland magazine a few issues back.